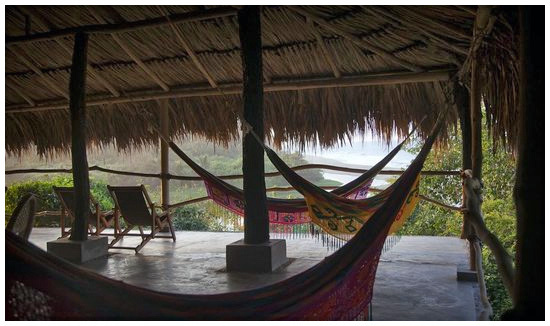 Ecohabs Barlovento is located in FINCA BARLOVENTO, it is one of the more special places in Santa Marta. 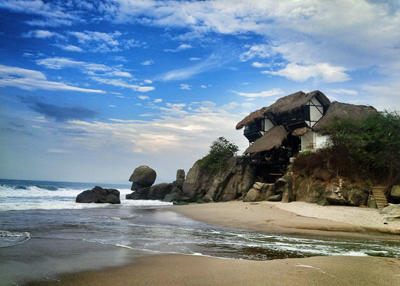 It is a cabin located in an unique place between the rocks where the Piedra river ends in Los Naranjos beach. 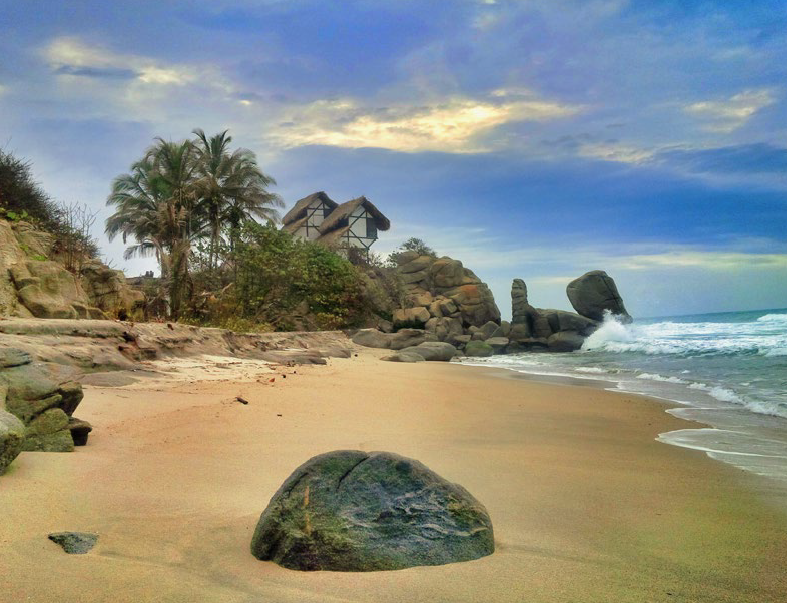 The area is private and totally surrounded by nature, there are not much tourists and it is at only 5 minutes from the main entrance of Tayrona park. It was mentioned by Lonely Planet as perhaps the best place in Colombia and it has appeared in tv, documentaries and magazines. 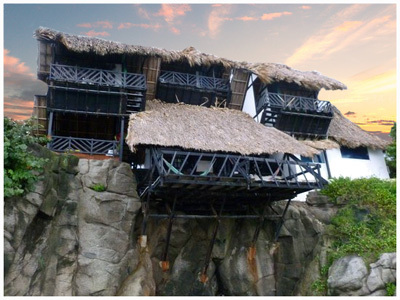 Built almost 40 years ago by the famous architects Simon Velez, it has become an icon of colombian arquitecture. 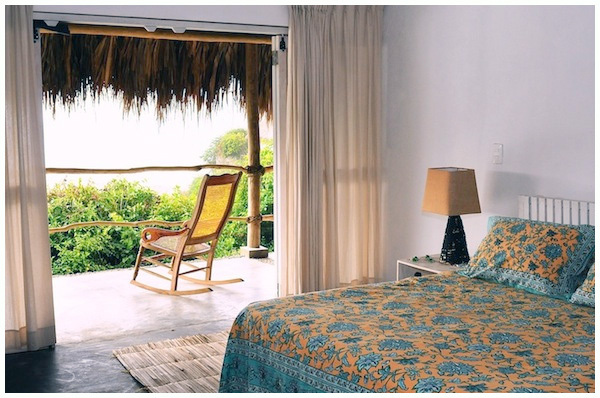 Unlike the rest of Ecohabs, this is an unique cabin (Barlovento) sits on a rock in one of the most beautiful places of Santa Marta, it is divided in 3 rooms, each one with an excelent view of the sea. 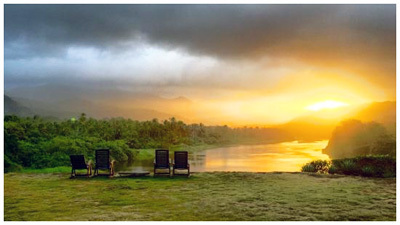 The sensation from the room is special with the sound of waves that fills everything. The cabin has 2 shared bathrooms for the 3 rooms. The rooms are small but opened with a big window making the view more spectacular and unique. It counts with shared spaces, terrace, hammocks, kitchen for the use of the clientes, restaurant service and resting area. There is another cabin, Barlovento 2 Cabin, totally in tune with the enviroment, it counts with 6 rooms with big spaces, terrace and private bathroom. Three of them with views of the sea, and the other three of the forest. All rooms with mosquito protection and a capacity of 3 persons per room. Los Naranjos beach is a good place for surf lovers, to practice this sport. The bathing in Piedras river is very nice. In the afternoon there are hot water flows so it's a real pleasure to enjoy the bathing. 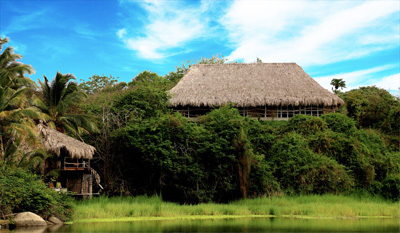 Tayrona Park is at only 5 minutes by car, throught the entrance of Zaino. The ticket to enter the park is 53,500 pesos for foreigners, 24,000 for colombians. 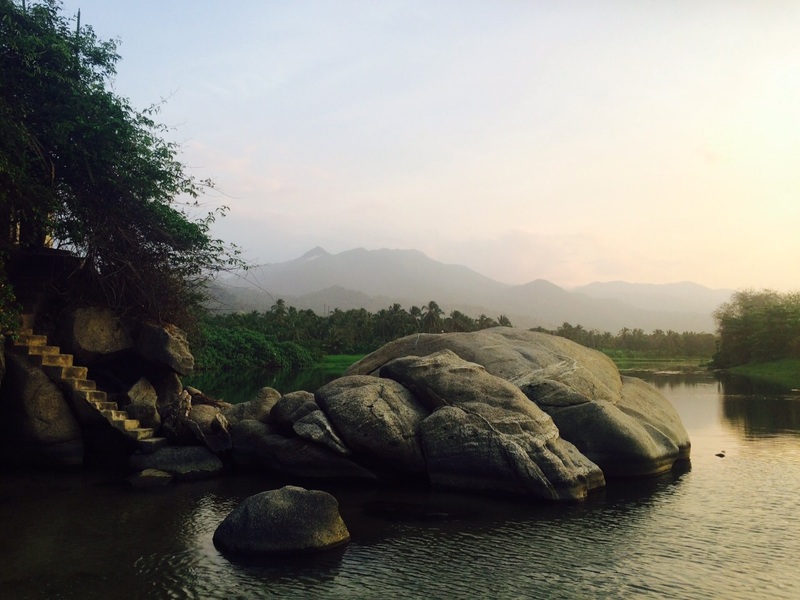 Barlovento is located in one of the most beautiful places in the Colombian Caribbean, in the limits of Tayrona National Park with the Piedras River and the Caribbean sea at its feet. Views of the sea, mountains and river - Breakfast and dinners included - Lunch on demand - Restaurant - Sun terrace with hammocks - Guided day tours in the area - Lockers for personal items. 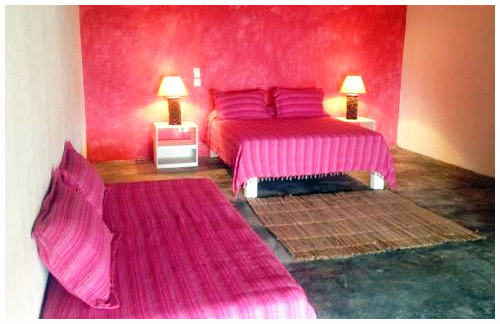 It is 45 minutes from the city of Santa Marta and 1 hour from the airport. 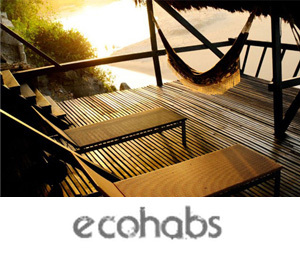 Transportation to Ecohabs Barlovento from the airport can be arranged at the best price so that you can travel comfortably and economically. If you travel on your own car, take the road from Santa Marta to Rio-Hacha, and in the km. 33, take the way Vereda de Los Naranjos. Late check-out policy: Late check-out depends upon availability, the hotel will try to satisfy your special needs. If you cancel your booking after the deadline, which is at least 15 days before your check- in, the hotel will charge the first night. If you cancel your booking after the deadline, which is at least 48 hours before your check- in, the hotel will charge the full booking value. All cancellations will charge a 5% for administrative expenses. © 2017 Ecohabs Santa Marta. All rights reserved.